On October 25, 1905, President Teddy Roosevelt, recently elected to a four year term in his own right, made an appearance in Little Rock. According to media reports at the time, Main Street from Markham to Tenth was a solid mass of cheering spectators for the parade. This was the first time a sitting President had spent time in Little Rock away from a train station. The only other incumbent President to visit Little Rock had been Benjamin Harrison, who had made only a brief layover. Roosevelt would make three more visits to Arkansas. In 1910, he spoke at the Arkansas State Fair in Hot Springs. In April and September 1912, he made several campaign stops in the state as he was running to reclaim the presidency, this time heading the Progressive (or Bull Moose) ticket. Though Roosevelt’s successor, William Howard Taft, would visit briefly once in office and once after leaving office, it would not be until Roosevelt’s cousin Franklin Delano Roosevelt visited in 1936, that another sitting President spent much time in the state after TR’s 1905 visit. November 8 has been a Presidential Election Day in Arkansas six times. The first time such a date happened in the US, Arkansas did not participate because it was 1864. The times it has happened have been 1892, 1904, 1932, 1960, 1988, and today. The 1892 election day Gazette intersperses news stories with advertisements. One headline states poetically: “Ballots: Like flakes of snow they will gently fall throughout the Union today.” Another headline stated “Confident. Democrats everywhere feel assured of Grover Cleveland’s election today.” Indeed, Cleveland returned to the White House in 1892 after four years of Benjamin Harrison. By 1904, most front page advertising at the Gazette had been banished from the front page, although an small box ad for Blass Department Store is at the top. Only three of the seven columns on the front page have above-the-fold headlines devoted to election stories, and two of those are about the State of New York. This reflects new editor J. N. Heiskell’s desire to have the Gazette be national in scope. While early Gazettes often relied on national news to fill space, by the post Reconstruction era, the focus was largely on local news. The lone local headline was “Arkansas will go Democratic” which was certainly a foregone conclusion at the time. 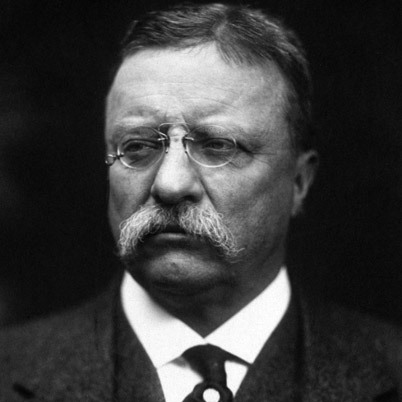 While Arkansas did go Democratic, Theodore Roosevelt kept the presidency in the hands of the GOP. Interestingly another headline was about efforts to get Prohibition adopted in the state. It would become an election issue for years to come. By 1932, both the Gazette and Democrat published Election Day editions. The Gazette’s stories included predictions that FDR would win and a record number of ballots would be cast. There were also separate stories which highlighted the final day of campaigning for both FDR and Hoover. One of Mr. Heiskell’s above-the-fold editorials encouraged voting No on a variety of measures which dealt with public school financing, sales tax reduction, bond issuance, and reorganization of county election commissions and state government. The afternoon Democrat featured stories on Hoover and FDR in the last hours of the campaigns. Like the Gazette it anticipated a record turnout and showed that Pulaski County was experiencing heavy turnout. The headline trumpeted that FDR had a lead as early results were starting to trickle in. The Democrat also offered succinct analysis of key battleground states. In the end, FDR did carry 42 of the 48 states in an election that saw a record of 38,582, 531 people casting votes for one of the two top candidates. The 1960 election ended up being one of the closest in popular vote in US history, with only 112,827 votes separating JFK from Nixon. The Gazette headline was “Kennedy, Nixon take fight down to wire; State interest high.” The front page also featured stories about Kennedy’s and Nixon’s last full day on the campaign trail. A box on the front page reminded readers that liquor stores and beer sales could not take place during polling hours. Only persons who had paid their 1960 poll tax were eligible to vote–with an exception made for those who turned 21 after the poll tax deadline and through election day. The last reminder was that the names of the parties, but not the candidates themselves, would appear on the ballot in the presidential race. The afternoon Democrat ran a large photo of Jackie and JFK after they had voted and a slightly smaller one of the Nixon family voting. Two stories discussed the record turnout that appeared to be taking place — one was on a national scale, and the other was focused on Arkansas. There was also a story on last minute campaigning. In the end, over 68,000,000 votes were cast which was a record at the time. The most recent presidential election to take place on November 8 was in 1988. It featured Vice President George H. W. Bush against Massachusetts Governor Michael Dukakis. The Gazette (covering its final presidential election — though no one knew it at the time) featured a story on Bush and Dukakis in the final day of campaigning. It also featured a guide to watching the returns and discussed how the networks made their decisions about calling states. There was also a box highlighting key battleground states which included Massachusetts, Pennsylvania, New York, Illinois and Texas. Interestingly, two of those were the home states of the candidates. By 1988, the Democrat had been a morning paper for several years going head to head with the Gazette. It carried its own photos of Bush and Dukakis on the final full day of campaigning. An inside story was highlighted on the cover which featured a Monday rally in Little Rock with Texas Senator Lloyd Bentsen (Dukakis’ running mate). The 1988 campaign was long, by the standards of the time, but would be considered abbreviated today. The 1988 election would mark the third consecutive presidential election that the GOP candidate carried Arkansas.